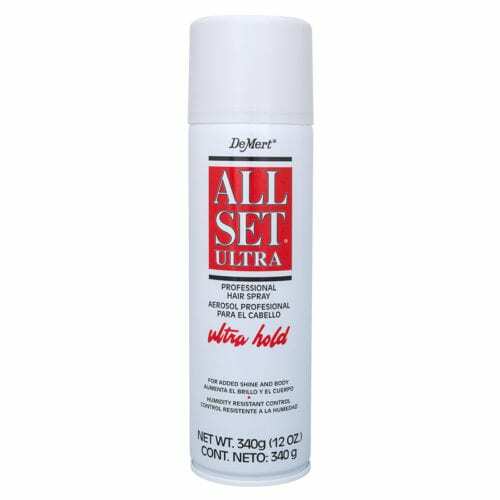 You get the ultimate in holding power with All Set ultra Hold. Formulated to hold any hair style in place hour after hour – even in damp humid weather. Anti-static to prevent “fly away” hair and water soluble for easy touch-ups. 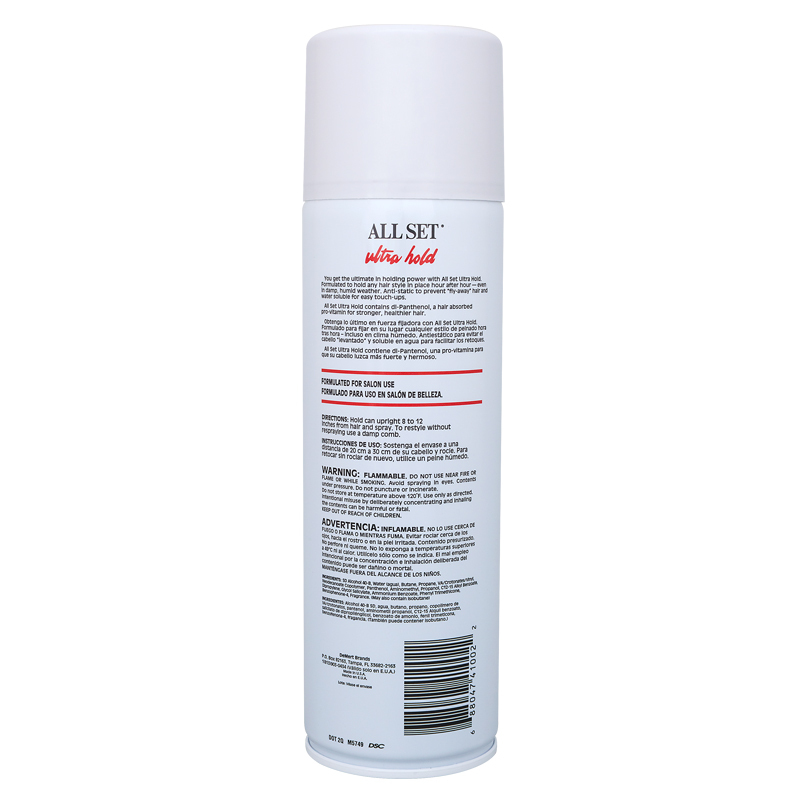 All Set Ultra Hold contains dl-Panthenol, a hair absorbed pro-vitamin for stronger healthier hair.